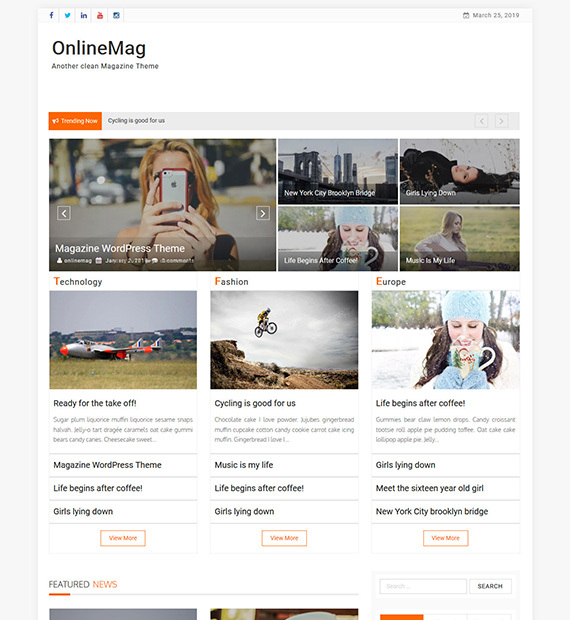 OnlineMag, a clean free magazine theme that has a beautiful design to help you start a professional looking news website. It can be used for any magazine niche such as tech, politics, sports, games, fashion, etc. With the available features, you can optimize your website through clicks only and won’t have to write any code. The theme has a responsive design, so, the contents of your website will look elegant on any device. This theme is translation ready.